The 2009 Sunseeker Predator 82 motor boat is a smart choice for those wishing to experience a new sense of freedom in style and comfort. Jump aboard this Sunseeker Predator 82 in Palma and get ready for a high-speed adventure at sea with your friends and family. The Sunseeker Predator 82 accommodates up to 8 guests and is perfect for exploring secluded coves and beaches in Spain. 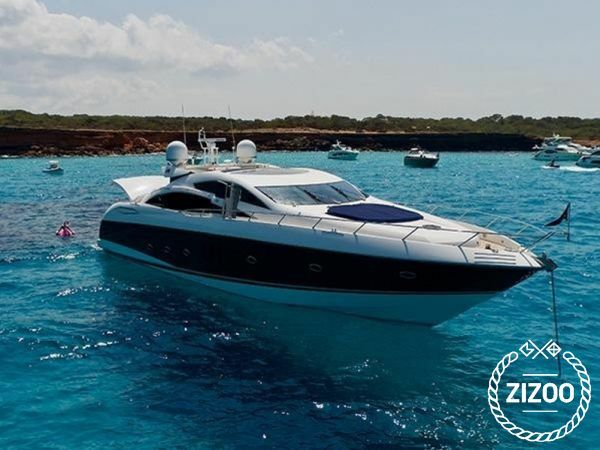 The Sunseeker Predator 82 is located in Club de Mar (Palma de Mallorca), Palma, a convenient base to start exploring Palma on a chartered motor boat. Learn more about the Sunseeker Predator 82 motor boat below. Requested 62 times this week!